Half marathon and marathon races are distances that can’t be completed without regular running training. A significant level of endurance is necessary for events that take more than an hour to complete. What’s more, if you run these events with time goals in mind, you will need more than just endurance. In this article, we explore what it takes to run these long distances faster. Most 10K runners have tried their hands on a half marathon or even a marathon race at least once. 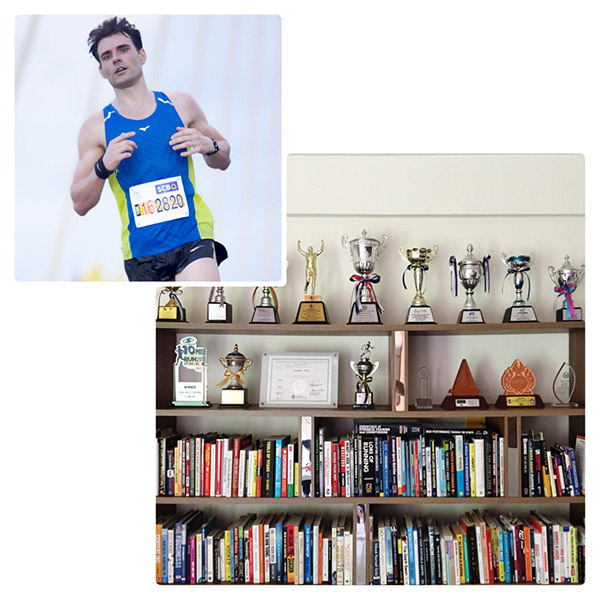 After all, modern running devices lure us with handy race time predictions for other distances. But even for seasoned 10K runners fast race results for longer events don’t come easy. It’s not just an increase in overall mileage that sets the scene for half marathon or marathon success. As discussed in my previous article, a rapid supply of oxygen and glycogen are mandatory for fast running at all long-distance events. But half marathon and marathon races are also limited by the amount of glycogen available in our working muscles and liver, and a well-developed glycogen sparing fat metabolism—especially when you’re training for a full marathon. Half marathon and marathon events are run just below lactate threshold unless you’re an elite athlete running a HM in around 60min. That means the anaerobic contribution is almost non-existent and therefore lactate tolerance is not an issue. 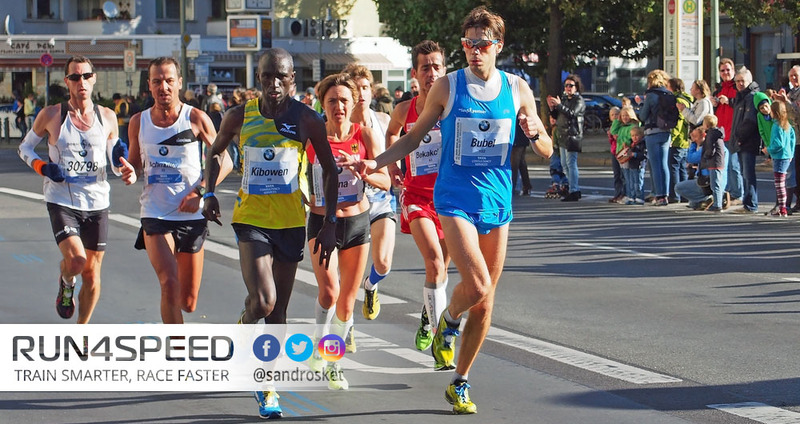 But your lactate threshold, on the other hand, is crucially important as it lets you race closer to your current VO2max capacity. Another distinguishing feature is the type of muscle fibers being recruited. Whereas the 10K recruits 80% of intermediate fast twitch fibers and 35% of super fast twitch fibers, the half marathon relies on only 52% and 2% of them, respectively. The marathon recruits only a marginal 23% intermediate fast twitch fibers and no super fast twitch fibers at all (unless other fibers have fatigued). 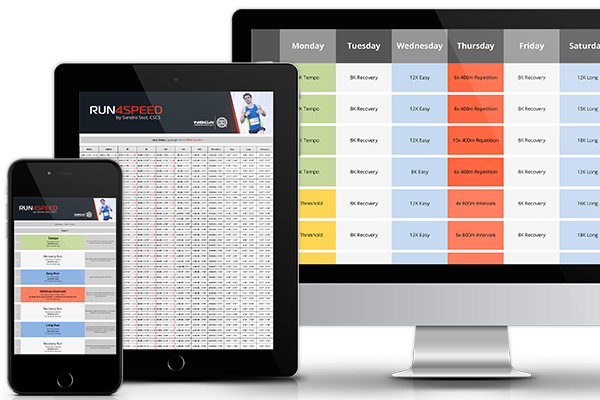 The weekend long run is essential for half marathon and marathon runners. Aim for 90 to 120min regularly and run every 3 to 4 weeks a session that is 50% longer than what you’re used to. Instead of adding distance, you can also run a portion of your long run at a high-end aerobic pace, or even lactate threshold pace. Though, make sure you make time for recovery after such efforts. Tempo runs, which are run at a moderate and steady effort, typically last for 20 – 40min at 15K to half-marathon pace. The idea is to enhance your lactate threshold. This session should be performed once a week throughout your training cycle. Here, too, a progression run can be useful. For instance, run 20 – 30min at marathon pace and add a tempo section at the end of this run. 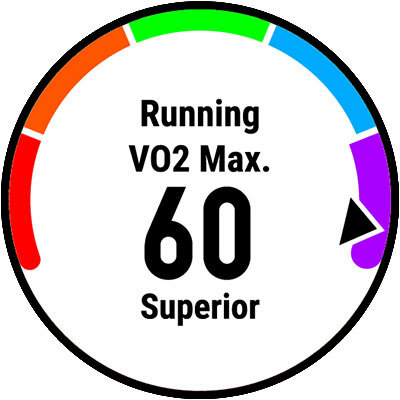 VO2max intervals are a critical component of half marathon and marathon training if you aim for faster times. Include one VO2max session per week sandwiched between easy runs. The intensity ranges from 3K to 10K race pace, for a duration of 3 – 6min. Think 800s at 3K pace, 1000s/1200s at 5K pace, and 1600s at 10K pace. Start with shorter more intense intervals. Repetitions are run at intensities at or below 1500m race pace. They often proceed VO2max training in your training cycle to provide the necessary base of neuromuscular recruitment. This doesn’t have to be a dedicated session for half marathon and marathon runners. Just include a few 100m sprints at 400m race pace during one or two of your of your easy runs. In summary: Fast half marathon and marathon races require a high VO2max, a high lactate threshold, and an extraordinary muscular fatigue resistance. Therefore it is wise to include the full spectrum of running intensities into your training. Consequently, the weekly key sessions should be VO2max intervals, the tempo run, and the long run—surrounded by an adequate amount of easy mileage.